Women's Rights in Lebanon: Illusion or Reality? 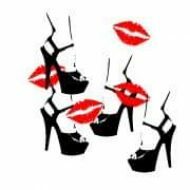 Posted byRed Lips High Heels	 July 26, 2013 3 Comments on Women's Rights in Lebanon: Illusion or Reality? Many Lebanese women are housekeepers. They don’t work, therefore no salaries are guaranteed. This is why they feel financially stuck to their husbands and without them they seem hopeless. In worse cases, men ban their wives from working in order to keep them under their authorities. The lack of independence of women obliges them to stay with their abusive husbands and bare the pain of violence secretly. In addition, the problem of not recognizing women’s rights in Lebanon can also be the result of Lebanese society. Often, the victim’s family try to influence her in not reacting against her husband, pretending that she will bring shame to her family. Her family’s honor is in question, that’s why women tend to bury their sorrows and hide the truth and accept the way they’re living even though it’s not what they deserve. 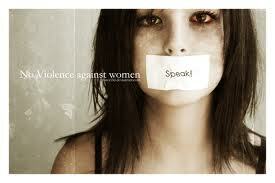 Moreover, women will keep their husband’s violence as a secret because of the fear of losing their children. On the other hand, domestic violence cases are often heard in religious courts, but none of them end up for the sake of women. In almost all cases, women have slightly the chance to win. Religious authorities focus on preserving the family unit, rather than protecting women from violence. The problem’s root lies in the objection of some religious conservatives. They criticize the proposed law as an attempt to erode their authority. That’s the reason why none of the laws concerning women’s right have been accepted yet. In summation, no woman, no matter her situation, should accept domestic violence and bare her husband’s abuse. She also shouldn’t neglect the negative impacts that these violent situations can have on her children. Therefore, it is a must that women unite for the sake of her life and her children’s. Il est temps d'agir, de moderniser, d'évoluer! Le salut des femmes et de la société libanaises passe par nous! women’s rights in Lebanon are an illusion! Yes, an illusion, no doubts!